Cancer is caused by the failure of checks and balances that control cell numbers in response to the needs of the whole organism. The inappropriate function of genes that promote or inhibit cell growth or survival can be caused by errors introduced into the genetic code itself or by faulty epigenetic mechanisms deciding which genes can and cannot be expressed. Two of the main methods are DNA methylation and histone modification. Methylation involves tacking a methyl group onto DNA. 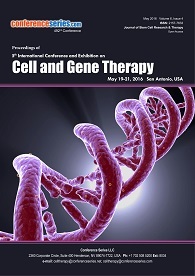 Epigenetic gene regulation collaborates with genetic alterations in cancer development. This is evident from every aspect of tumor biology including cell growth and differentiation, cell cycle control, DNA repair, angiogenesis, migration, and evasion of host immunosurveillance. 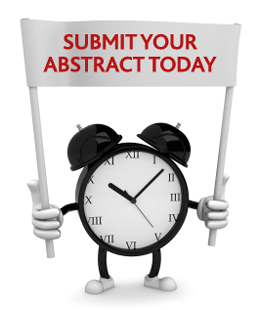 The study of epigenetic principles and mechanisms as applied to human development, disease, diagnosis, and treatment. Clinical epigenetics is being incorporated into patient management in oncology, as well as being explored for clinical applicability for other human pathologies such as neurological and infectious diseases and immune system disorders. Epigenetic biomarkers defined as the modifications of the genome with preserved DNA sequence. DNA methylation measurement in a cell, it may also be useful in improving early detection by measuring tumor DNA released into the blood. Molecular biomarkers are used routinely in a clinical setting to assess the medical state of patients and in several other medical contexts, including clinical trial endpoints, pharmaceutical development, and basic science research. 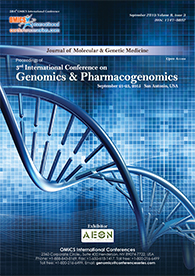 The clinical validation of epigenetic biomarkers to allow the accurate prediction of the outcome of cancer patients and their potential chemosensitivity to current pharmacological treatments. A clinical example of a biomarker is plasma glucose. Epigenetic therapy is a relatively new treatment that is related to gene therapy, as the treatment looks at changes in the DNA. However, unlike gene therapy, which works to alter the DNA sequence, epigenetic therapy focuses on changes in DNA expression. Epigenetic drugs for cancer treatment have opened the door for the development of epigenetic drugs for other disorders including neurodegenerative diseases. The understanding of the contribution of epigenetic changes to rare diseases provides useful principles for other common and complex disorders such as cancer, cardiovascular, type 2 diabetes, obesity, and neurological diseases and will hopefully provide us with better molecular tools for an improved diagnosis, prognosis, and therapy for the patients in the future. Sometimes physical problems can cause depression. But other times, symptoms of depression are part of a more complex psychiatric problem. An individual with major depression, or major depressive disorder, feels a profound and constant sense of hopelessness and despair. Major depression is marked by a combination of symptoms that interfere with the person's ability to work, study, sleep, eat, and enjoy once pleasurable activities. Major depression may occur only once but more commonly occurs several times in a lifetime. In an autoimmune disease, the immune system mistakes part of your body like your joints or skin as foreign. It releases proteins called autoantibodies that attack healthy cells. Some autoimmune diseases target only one organ. Type 1 diabetes damages the pancreas. Other diseases, like lupus, affect the whole body. Immune deficiency diseases decrease the body's ability to fight invaders, causing vulnerability to infections. About 24 million 7% people in the United States are affected by an autoimmune disease. Women are more commonly affected than men. Liver disease can be inherited (genetic) or caused by a variety of factors that damage the liver, such as viruses and alcohol use. Obesity is also associated with liver damage. Autoimmune hepatitis inflames your liver. It can lead to other disorders and even liver failure. It strikes girls and women more often than boys or men. Primary biliary cholangitis attacks tiny tubes in your liver called bile ducts. They carry bile, a chemical that helps you digest food. When the ducts are injured, the bile backs up inside your liver and scars it. Women come down with this more often than men. Kidney disease can affect your body’s ability to clean your blood, filter extra water out of your blood, and help control your blood pressure. Chronic kidney disease, also called chronic kidney failure, describes the gradual loss of kidney function.Kidney disease affects approximately 26 million American adults. It occurs when your kidneys become damaged and can’t perform their function. Damage may be caused by diabetes, high blood pressure, and various other chronic (long-term) conditions. Kidney disease can lead to other health problems, including weak bones, nerve damage, and malnutrition. Chronic diseases tend to become more common with age. The leading chronic diseases in developed countries include arthritis, cardiovascular disease such as heart attacks and stroke, cancer such as breast and colon cancer, diabetes, epilepsy and seizures, obesity, and oral health problems. According to the Centres for Disease Control, chronic disease is the leading cause of death and disability in the United States, accounting for 70% of all deaths. Moreover, chronic conditions such as back pain and depression are often the main drivers of decreased productivity and increased healthcare costs. Data from the World Health Organization show that chronic disease is the major cause of premature death around the world, even in places where infectious disease are rampant. Neurodegenerative diseases are incurable and debilitating conditions that result in progressive degeneration and / or death of nerve cells. This causes problems with movement (called ataxias), or mental functioning (called dementias). It is an umbrella term for a range of conditions which primarily affect the neurons in the human brain. The risk of being affected by a neurodegenerative disease increases dramatically with age. Population-wide health improvements have increased lifespan which, along with a larger generation of aging Americans, means more people may be affected by neurodegenerative diseases in coming decades. Sandhoff disease is a rare inherited disorder that progressively destroys nerve cells (neurons) in the brain and spinal cord. The most common and severe form of Sandhoff disease becomes apparent in infancy. Infants with this disorder typically appear normal until the age of 3 to 6 months, when their development slows and muscles used for movement weaken. Affected infants lose motor skills such as turning over, sitting, and crawling. Epigenetic component makes a difference to ensure the plant cells from the action of parasitic groupings such as transposable components, this defense can complicate the hereditary designing prepare through transcriptional quality silencing. The frequently occurring changes in plants which incorporates heritable or metastable changes causing varieties in epigenetic status. Hence, heritable epigenetic varieties, as well as hereditary variety, have the potential to drive common varieties of plants. Climate alter is without a doubt one of the most prominent dangers confronting both plants and creatures alike. With rising temperatures and irregular climate designs, dry spells have gotten to be a distant as well typical event worldwide. Epigenetic mechanisms can also be caused by environmental factors, such as diet, stress, exposure to toxic products, etc., and not merely the chance of genetic mutations. Epigenetic mechanisms governing animal phenotype and behavior. Epigenetic parameters orchestrating transgenerational effects, as well as hereditary disorders, and the often-overlooked areas of livestock immunity. Epigenetics has the potential to be very useful in animal breeding, as it may provide information relating to the heritability of complex traits and diseases. Infectious diseases are disorders caused by organisms such as bacteria, viruses, fungi or parasites. Many organisms live in and on our bodies. They're normally harmless or even helpful, but under certain conditions, some organisms may cause disease. Many infectious diseases, such as measles and chickenpox, can be prevented by vaccines. Frequent and thorough hand-washing also helps protect you from most infectious diseases. Infectious diseases can be spread from one person to another, for example through contact with bodily fluids, by aerosols (through coughing and sneezing), or via a vector, for example a mosquito. Rare diseases became known as orphan diseases because drug companies were not interested in adopting them to develop treatments. The Orphan Drug Act created financial incentives to encourage companies to develop new drugs for rare diseases. This estimate has been used by the rare disease community for several decades to highlight that while individual diseases may be rare, the total number of people with a rare disease is large. Over 6000 rare diseases are characterised by a broad diversity of disorders and symptoms that vary not only from disease to disease but also from patient to patient suffering from the same disease. Relatively common symptoms can hide underlying rare diseases leading to misdiagnosis and delaying treatment. Quintessentially disabling, the patient’s quality of life is affected by the lack or loss of autonomy due to the chronic, progressive, degenerative, and frequently life-threatening aspects of the disease. Cardiovascular disease (CVD) is a general term for conditions affecting the heart or blood vessels. It can also be associated with damage to arteries in organs such as the brain, heart, kidneys and eyes. Heart attacks and strokes are usually acute events and are mainly caused by a blockage that prevents blood from flowing to the heart or brain. The most common reason for this is a build-up of fatty deposits on the inner walls of the blood vessels that supply the heart or brain. It beats in a steady, even rhythm, about 60 to 100 times each minute. That's about 100,000 times each day. Sometimes, your heart gets out of rhythm. An irregular or abnormal heartbeat is called an arrhythmia. Blood disorders can also affect the liquid portion of blood, called plasma. Blood disorders affect one or more parts of the blood and prevent your blood from doing its job. They can be acute or chronic. Many blood disorders are inherited. Other causes include other diseases, side effects of medicines, and a lack of certain nutrients in your diet. Common blood disorders include anemia and bleeding disorders such as hemophilia. When something is wrong with your blood, it can affect your total health. That is why it is important for you to know about some of the common blood disorders that may affect you. Chromatin is a complex of DNA, RNA, and protein which packages very long DNA molecules into a more compact, denser shape, preventing the strands from becoming tangled, preventing DNA damage, and regulating gene expression and DNA replication. Chromosome mechanisms during replication and in response to DNA damage, ensuring the faithful inheritance of genetic and epigenetic information and maintaining genome stability. Epigenetic modification of the structural proteins in chromatin via methylation and acetylation also alters local chromatin structure and thus gene expression. The structure of chromatin networks is currently poorly understood and hence is an active area of research in molecular biology. The practices of personalized medicine are to maximize the therapeutic effects of likelihood and to minimize the risk of drug toxicity for an individual patient. 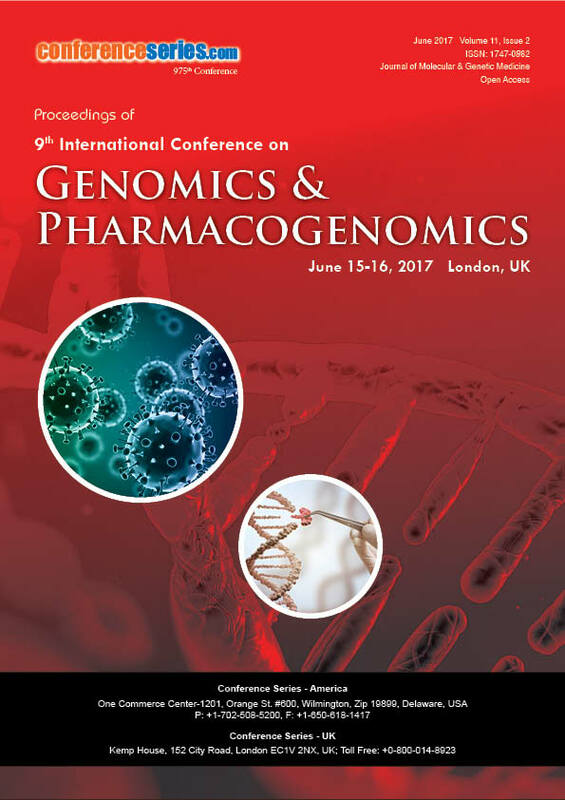 Pharmacogenomics is the study of the genome in drug response. The genetic disorder occurrence is quite rare in population; some might be hereditary while the others are caused by mutations. 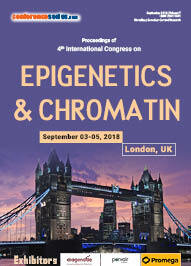 Disease-specific epigenetic signatures such as DNA methylation, hydroxymethylation, and non-coding RNAs are now being utilized clinically for prognostics and diagnostics, while an expanding collection of genetically aberrant, abnormally expressed or chromatin-interacting epigenetic enzymes are positioned as promising targets for therapeutic intervention. Scientists also recognize that even as the knowledge base continues to expand, the clinical translation of that knowledge still requires empirical evidence, generated for a particular disease and drug combination, before treatment can be customized to a patient's genotype.